The Council of Europe (CoE) condemned the EU-Turkey Agreement of 18 March 2016, as “it raises many serious questions of compatibility with basic norms on refugees’ and migrants’ rights”. The deal, adopted as a response to an unprecedented numbers of refugees and migrants arriving in western Europe via the Eastern Mediterranean and Western Balkans route, has already raised several human rights issues by humanitarians organizations. “The approach of the EU-Turkey Agreement is indefensible. The European Union has an unconditional moral duty to open humanitarian pathways, including resettlement, for substantial numbers of Syrian refugees from both Turkey and other countries such as Lebanon and Jordan,” states CoE’s in a report. The report denounces inadequate conditions in which new arrivals are systematically detained on an uncertain legal basis, as the three largest hotspots (Lesvos, Chios and Samos) exceeded their intended capacity and became overcrowded. As a consequence, the conditions of detention have rapidly deteriorated, due to poor quality food, insufficient shelter, poor sanitation and inadequate access to appropriate medical care. It also voiced concern over the fact that Turkey may be considered a safe third country under current circumstances. Many Syrian refugees there live in poverty and debt, and have problems regarding access to accommodation, education and labour market. Occasionally, they must also face difficulties with access to health care. As for other refugees, it is uncertain whether non-Syrians have effective access to an asylum procedure in Turkey, since the new asylum system itself is still not fully operational. Returns to Turkey may not meet the requirements of EU and international law. On the other hand, Greek asylum system also lacks the capacity to process applications since it has been seriously deficient and in real need of extensive additional resources for many years. In March 2016, asylum seekers were still at serious risk of refoulement due to persisting obstacles to accessing the asylum procedure before the Asylum Service. In addition, the insufficient staffing of the Asylum Service generates long delays in the asylum procedure. Furthermore, there is inadequate access to an effective remedy against removal to Turkey according to the CoE. As for the new one-in-one-out system, aimed at resettling Syrian refugees, the Council fears that it will not be linked to the number of returns or arrivals. Indeed, EU member States have not agreed yet to the European Commission’s proposal on making available for resettlement from Turkey the unallocated places originally intended for relocation from Greece and Italy. “It should also be recalled that of the 22 504 places promised by EU member States in 20 July 2015, only 5 677 refugees had actually been resettled by 8 April 2016,” the report denounces. The report also called on EU countries to provide financial support to Syrian refugees in Turkey as promised. Read “Turkey Threatens Breaking Deal with EU on Migrants” for more information on EU’s financial support to Turkey. The report also treated other problematic circumstances, such as the closure of Greece’s border by “the former Yugoslav Republic of Macedonia”, States’ failures to fulfil commitments to relocate refugees from Greece, and premature discussion of resuming Dublin transfers to Greece. 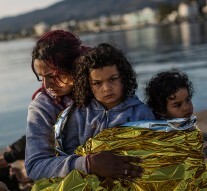 In order to ensure that human rights and procedural guarantees of international, EU and national law are respected, the Parliamentary Assembly of the Council of Europe (PACE) approved a resolution to formulate a series of specific recommendations to the EU, Turkey and Greece, so to ensure the deal does not violate European and international legal standards on refugees’ and migrants’ rights. These recommendations also included a call to halt the return of asylum seekers to Turkey until the legal requirements were clearly satisfied. Immigrants Outside the EU – at What Cost?